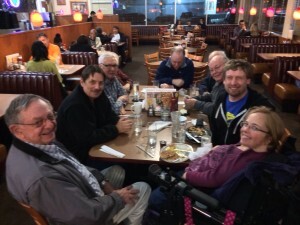 The San Leandro Macintosh User Group is a community based, non-profit, computer user group located in the San Francisco Bay Area. SLMUG was originally founded in 1982 as the San Leandro Apple Eaters User Group and was primarily an Apple II group. As interest waned for the Apple II, we changed our name to better reflect the interest and orientation of our members. Formerly an Apple User Group, SLMUG is now an independent entity but its members are no less passionate about Apple’s products. SLMUG meets at San Leandro High School and is indebted to them for their continued support.